It’s a pretty good food and when it’s extra good, well it’s downright exceptional. This meant that when I heard about a place that specialises in pizza right here in Darlington, I knew that I would have to try it. Unfortunately – but rather characteristically – it took a very long time for that to actually happen. Stable Hearth has been open for ages but I only got to it this month when a friend suggested dinner and I got to pick the venue. Luckily, my friend is pretty used to my desire to try somewhere different each time so we headed off to Stable Hearth for a pizza date. 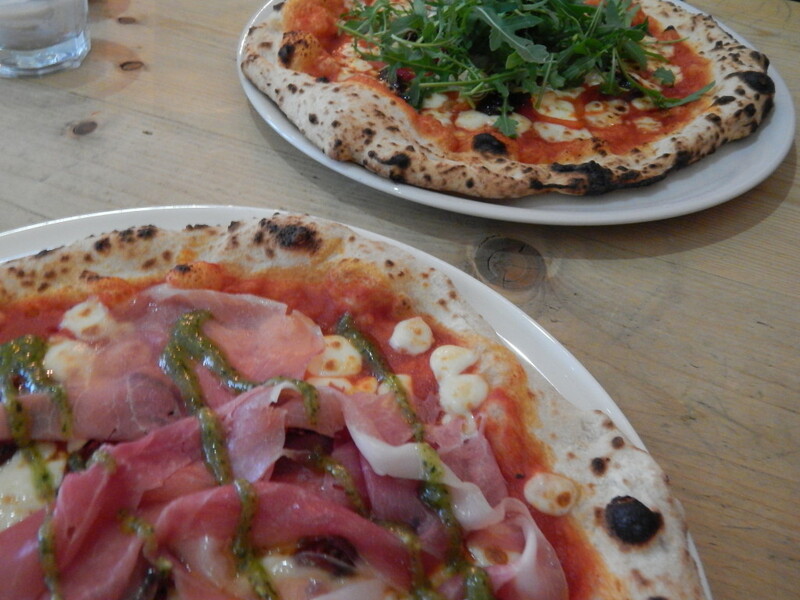 These are proper pizzas, cooked in a wood fire oven. There’s a whole heap of options available (but don’t be counting on some pasta). The extensive range made it quite difficult to choose but finally, I decided on the ‘Hey Pesto’ pizza. 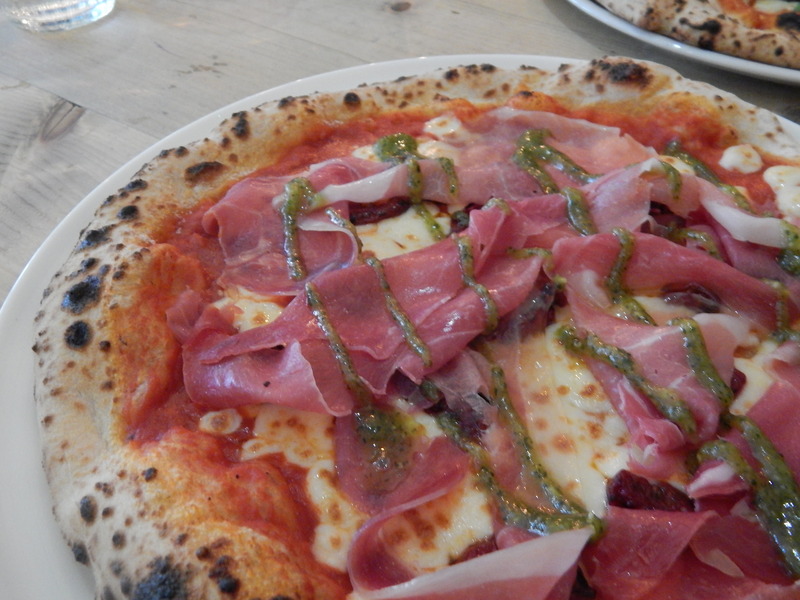 As you might have guessed, this one has cheese, pesto and prosciutto. It was seriously tasty and, if I hadn’t have been so full, I might have been tempted to get a second one! 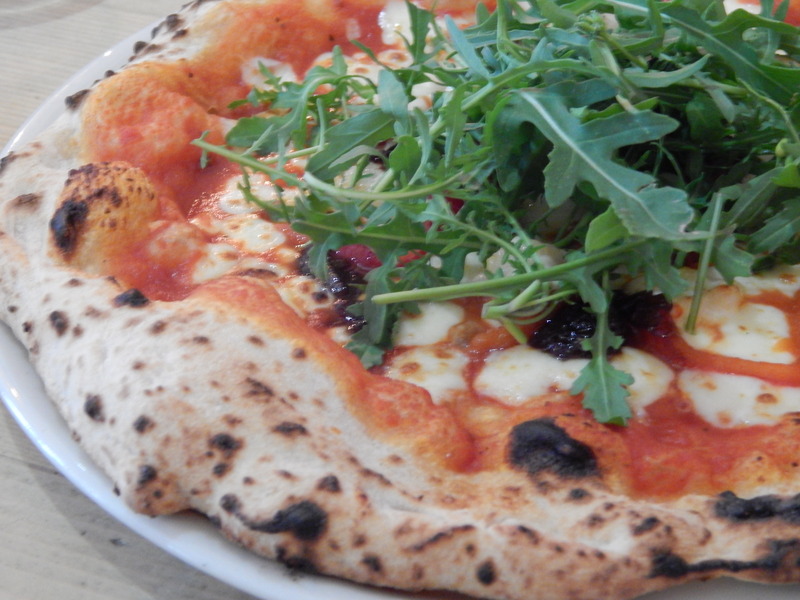 My friend chose the Nanny’s Fancy which featured goat’s cheese and red onion marmalade. She had very high praise for it! 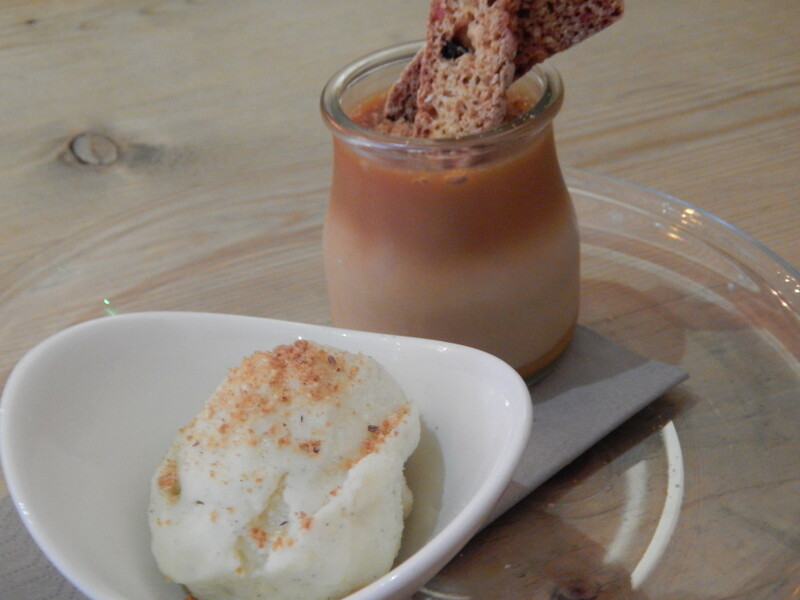 We were both rather full after our pizza so we decided to share a pudding, picking a Salted Caramel dessert. It was absolutely delicious but very sweet so we were glad that we shared. We had an absolutely fab time at Stable Hearth and I hope I can visit again soon – there’s a whole host of pizzas left for me to try.